Hi again! I'm Chiffon and today is a really overdue overview (this was not intended I swear)! 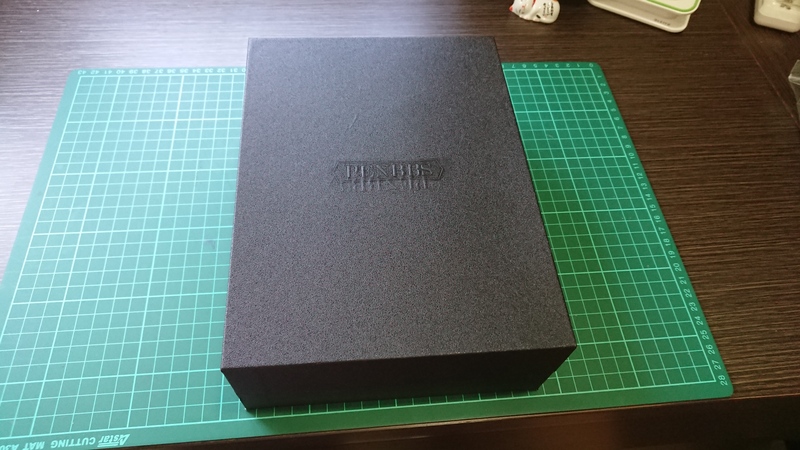 I bought a blindbox (bird box?) 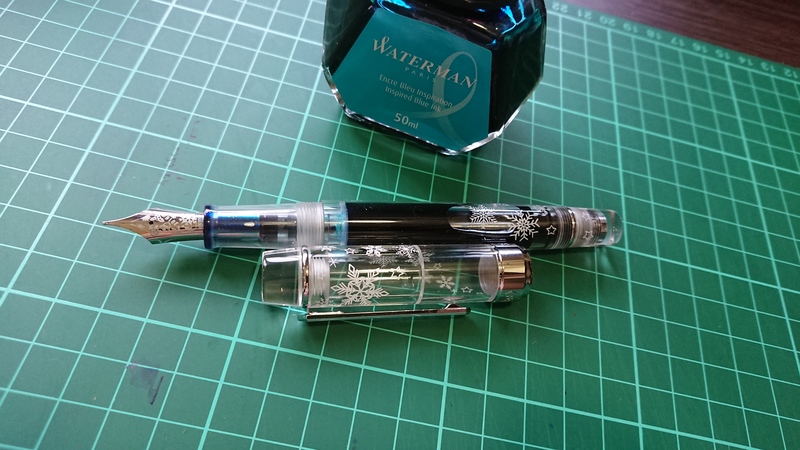 of a PenBBS 355 M nib, Christmas Edition 2018. 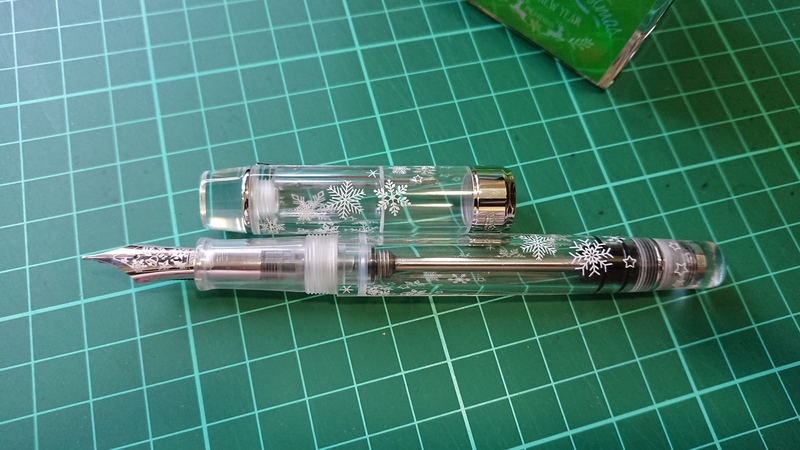 PenBBS had a blind box drawing of their PenBBS 355 Christmas edition where there is a 30% chance you will be sent a PenBBS 355 that has engraved patterns in lieu of the painted ones. Too bad I'm the 70%. Please right click on image and open it in a new tab for full resolution. 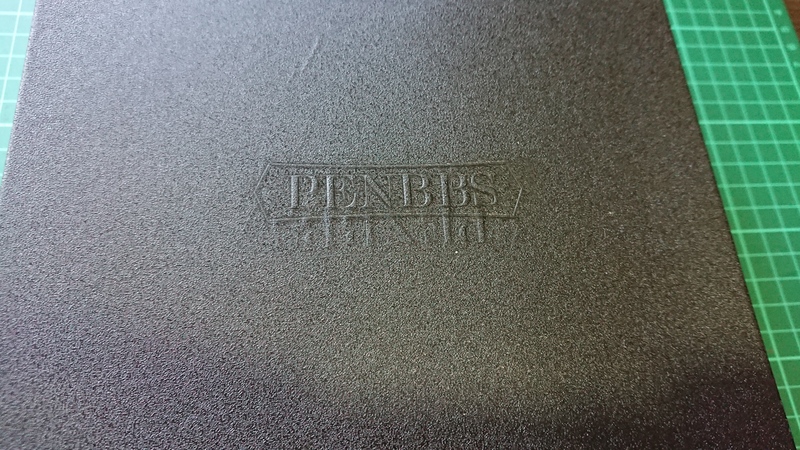 It'ts the familiar PenBBS leatherette texture. 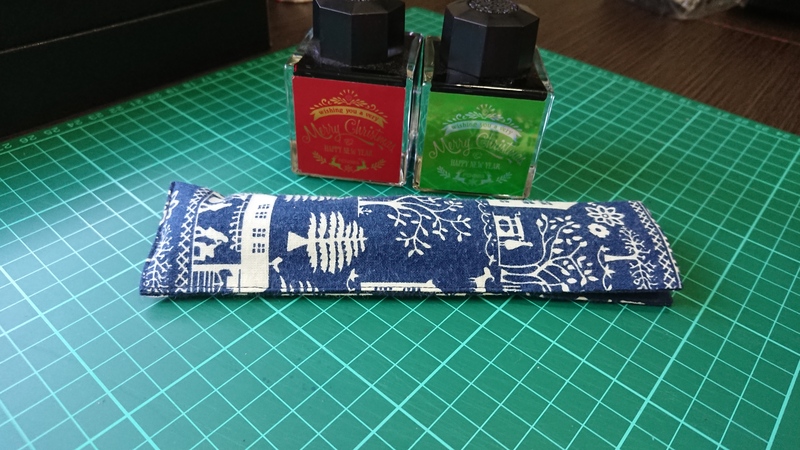 There's the PenBBS 355 in a Winter-themed fabric pen sleeve and 2 bottles of ink. 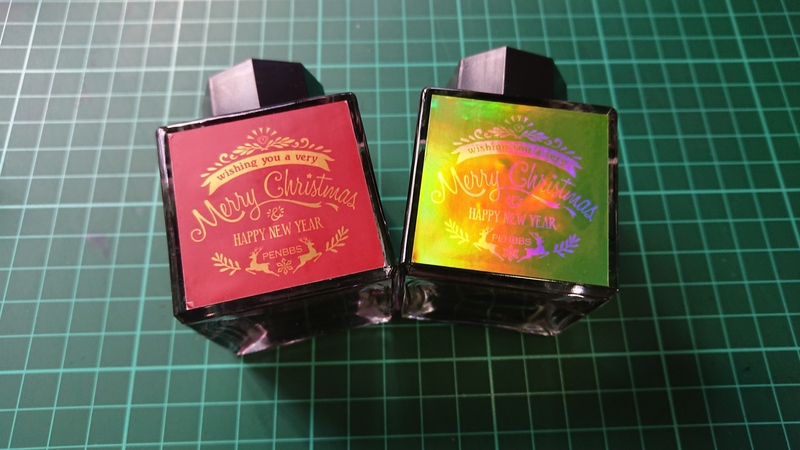 That green bottle has some weird holographic foil texture whereas the red one is a flat color. 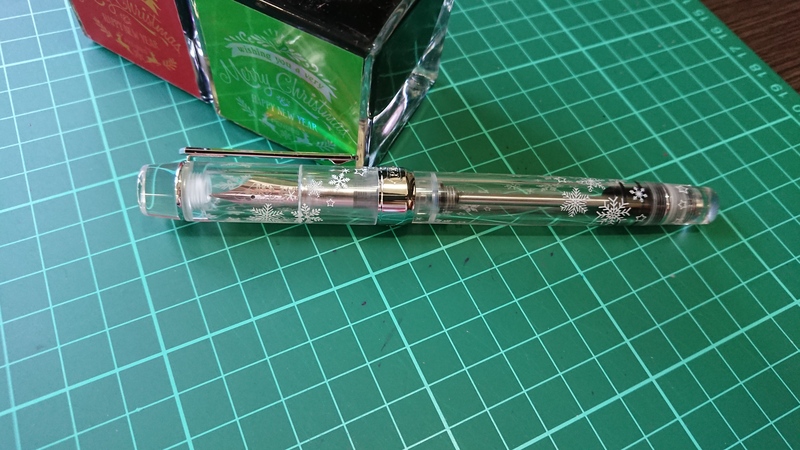 The PenBBS 355 Christmas Edition looks pretty good. 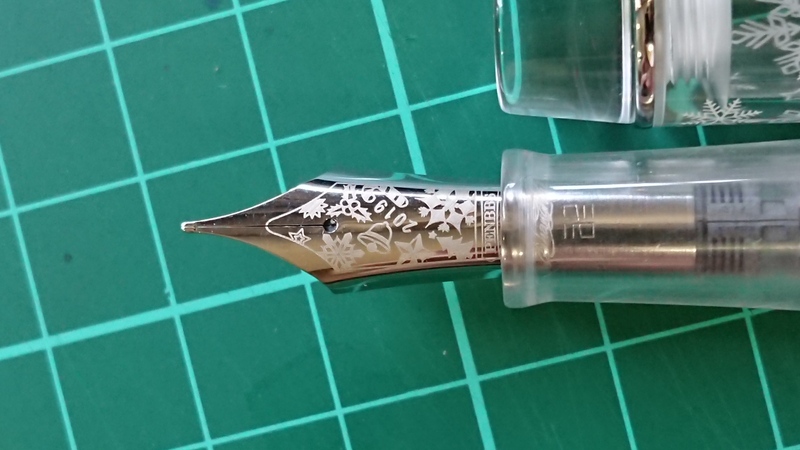 The pattern on the nib is really pretty. Generally, this is a well-done paintjob. It was really awkward because of how the piston merely locks into place via friction and I couldn't hear the clicking noise so it took me awhile to fiddle with the pen in order to disengage the piston from it's filling unit. I believe this is a matter of learning how to operate the filling mechanism correctly. Here it's how it looks like inked up, looking good. Now before we move on, I'd like to point out a few things about this pen and it's filling system. 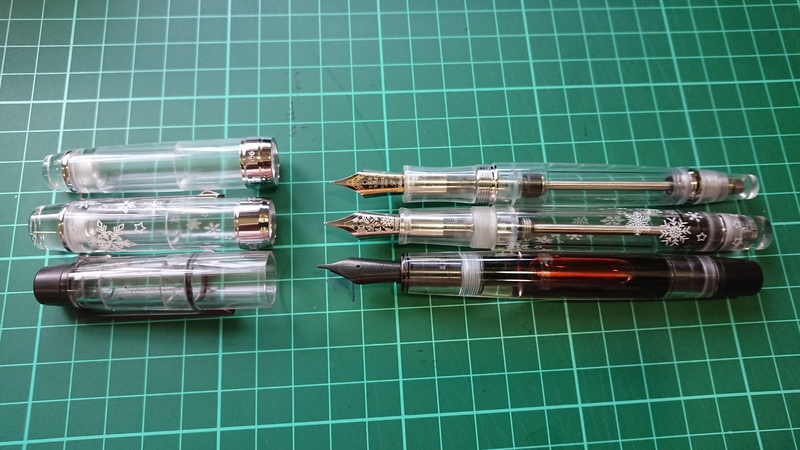 People who've read this overview of the PenBBS 456 will notice that the section is identical save the screw threads being plastic this time. I've highlighted before that there are a lot of o-rings in that section and disassembly may compromise the o-ring seal that keeps ink away from the awkward void in the barrel. Same thing applies here. The filling system is very similar to Conid pens, where the piston rod must lock into the piston, then the piston must be unlocked from its unit to be used. Ink is then drawn with a syringe-like action. 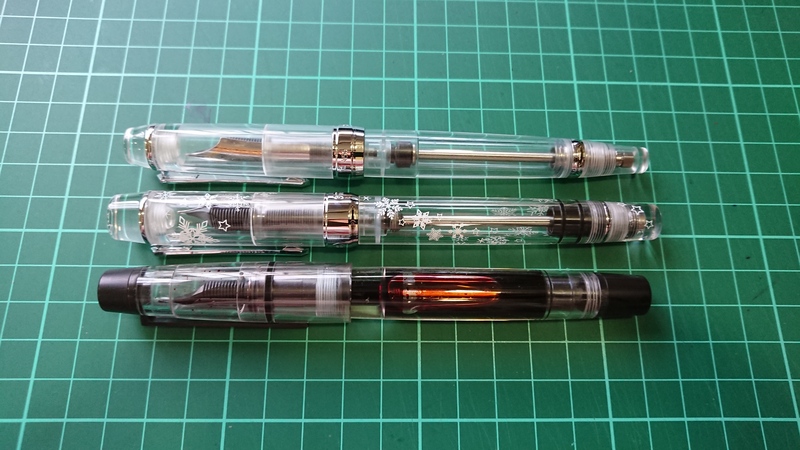 This concept is the same for both Conid pens and the PenBBS 355. However, the PenBBS 355 piston relies on mere friction whereas Conid pens have an interlocking extension. 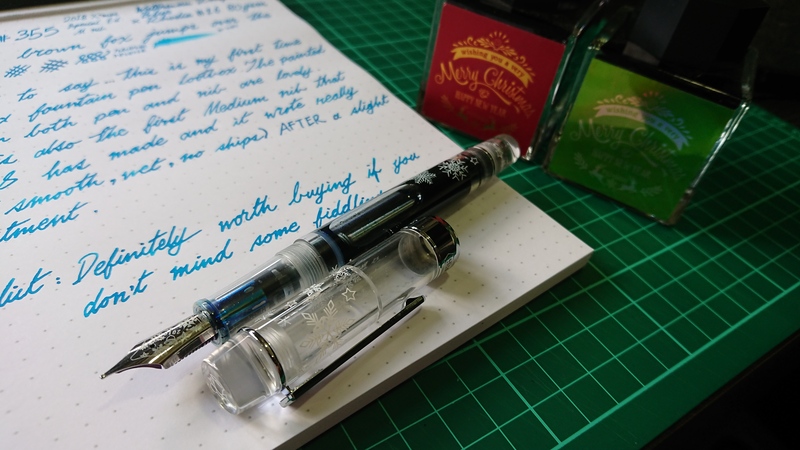 Inasmuch, Conid's filling system is a lot more intuitive than the PenBBS 355. Now here's my writing sample of it! Disclaimer: it had the classic PenBBS problem of having closed tines so I had to widen the tines just a little. 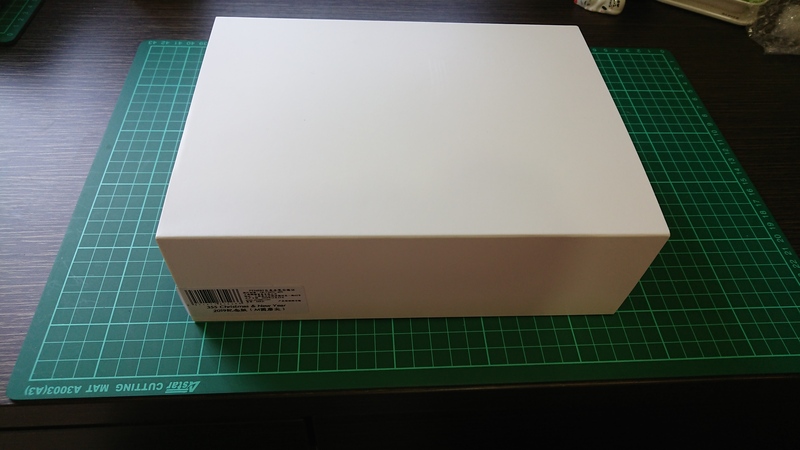 Then, the nib wrote smoothly with a wet, Western Medium line width. 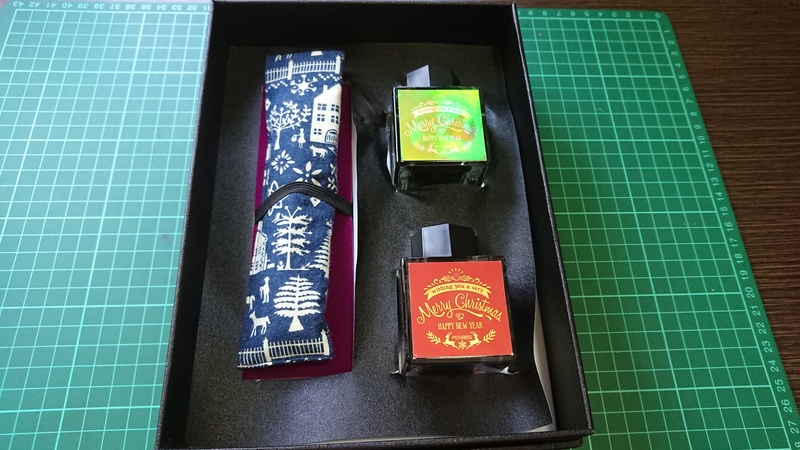 There were also 2 ink bottles in the blind box! Both were approximately 50mL. They do not have a name nor volume stated. 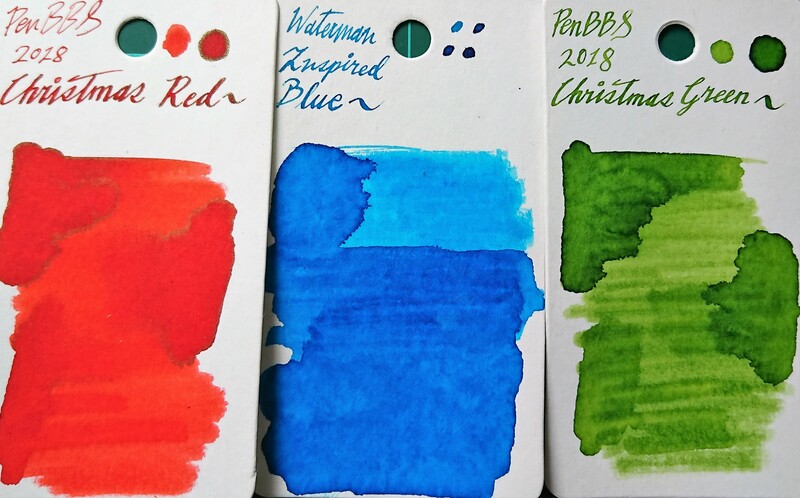 Here's a swab of both inks and a quick comparison with Waterman Inspired Blue. I didn't find anything close to compare them with. The Red is a very reddish red-orange whereas the Green is a green-leaning yellow-green. 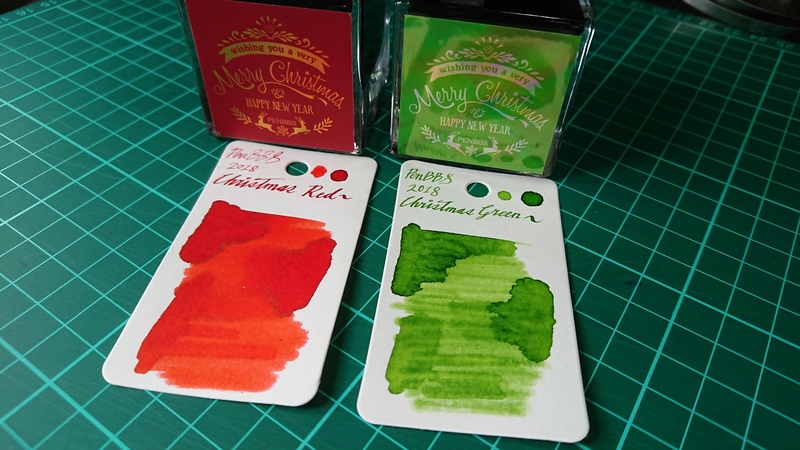 The red ink has a bit of gold sheen whereas the green ink does not have sheen. Both seem to shade well. Final verdict? 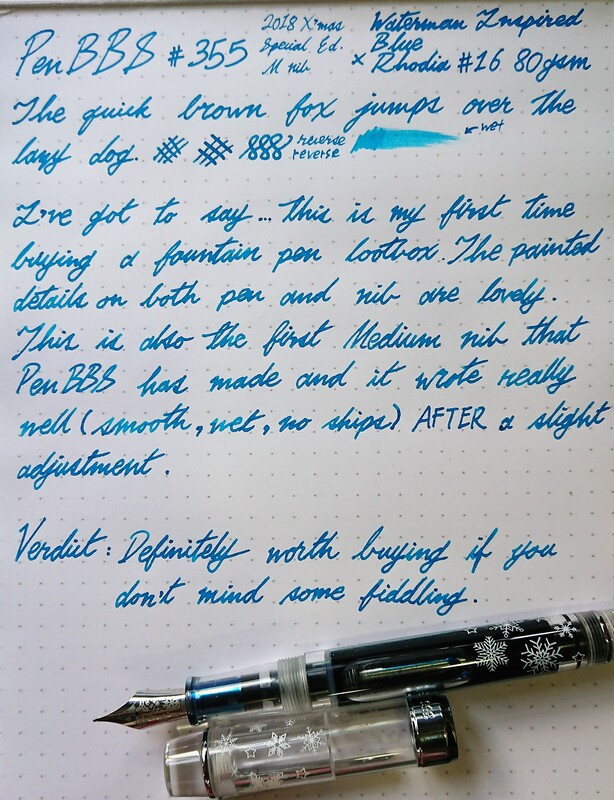 Definitely worth the buy if you want a pen with a very high ink capacity with a different filling system that won't break the bank. Just note that you may likely need to fiddle around with it and I highly advise buying one that isn't opaque because you can't see the filling system otherwise and it might get awkward when learning how to use the filling system. See you next time for more overviews which will hopefully, not be overdue!